These astrological blends are specially formulated to work with the temperaments of each sun sign to bring life into balance, develop natural talents, increase personal power, and assist with the spiritual path. 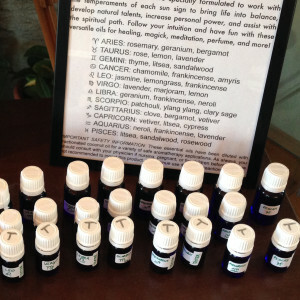 Follow your intuition and have fun with these versatile oils for healing, magick, meditation, perfume, and more! Or you may contact The Green Shaman directly to arrange payment and shipping to you direct! IMPORTANT SAFETY INFORMATION: These essential oils have been diluted with fractionated coconut oil for a variety of safe aromatherapy applications. As always, you should consult with your physician if nursing, pregnant, or for children before use. It is not recommended to ingest this product. Discontinue use if adverse reaction develops. 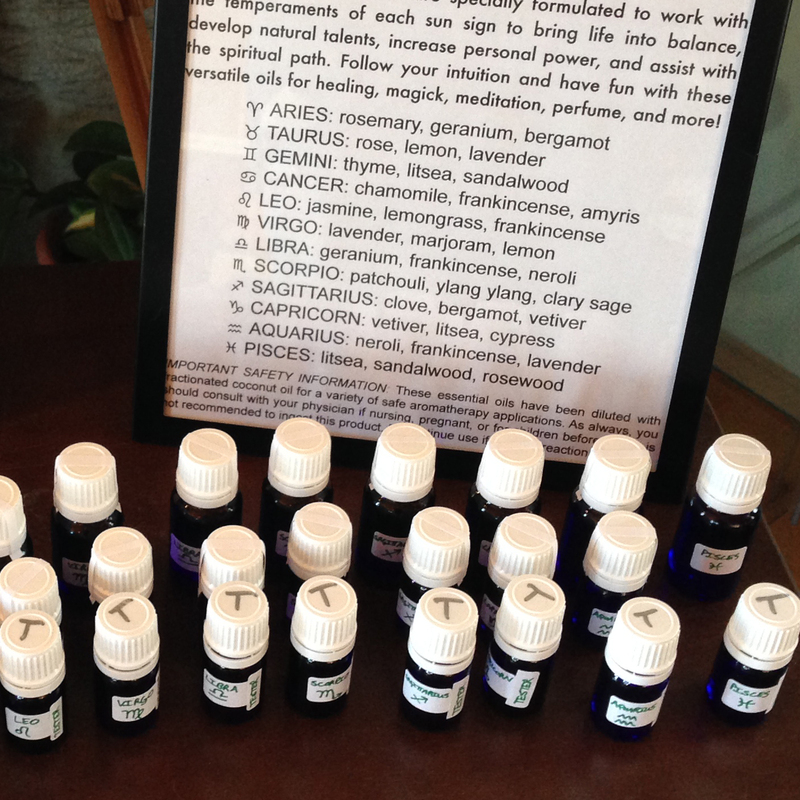 These blends were inspired by the work of Suzanne Bovenizer and Molly Cliborne relating aromatherapy with astrology, but the recipes and development of these therapeutic blends are solely my creation.